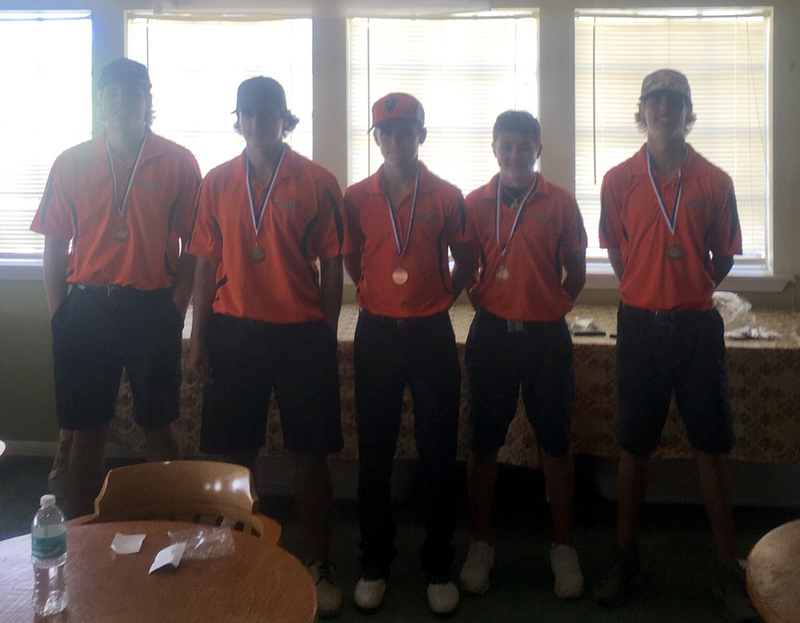 Van Vleck High School Boys Golf Team finished in 3rd place at the district 28 3A golf tournament today. The team consisted of Will Thompson, Camrin Wleczyk, Kason Klump, Colton Carrion, Kameron Wied as well as Colt Kelly and Tylar Lacey playing as medalist. Kason Klump shot the teams low round of an 88 earning a spot at the regional golf tournament. On the girls side Meghan Orsak shot a solid round and Madison O'Neal turned in one of the lowest girls score in the district. Her 99 earned her a spot at the regional tournament as well. Both Kason and Madison will represent Van Vleck High School and District 28 3A as medalist at the Region 4 golf tournament at the end of April in San Marcos.